The recent horrific tragedy has caused great sorrow. The Van Attack has also brought this community together. COMMUNITY PICNIC in Mel Lastman Square! 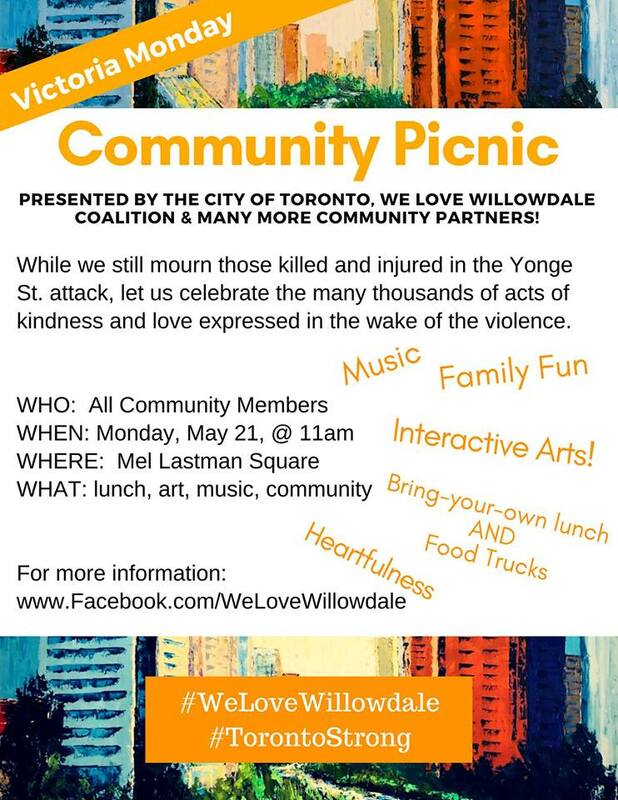 This picnic will draw to a close the 26 Days of Music on Yonge, one day of music for every person injured or killed here in Willowdale on April 23rd. So bring your family! Bring your own lunch and eat together as a wide family at tables that will spread across the entire Mel Lastman Square. There will be kids’ activities, interactive art projects, live music, meditation, and much more!